Birmingham City University has been shortlisted for a National Undergraduate Employability Award, in recognition of the institution’s initiatives to support students on their career journey. The University is ranked 7th in the UK for employability, with more than 97% of students in employment or further study within six months of graduating. 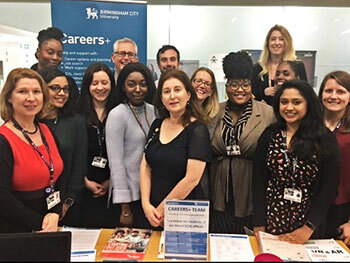 Jo Howell, Head of Careers and Employability at Birmingham City University, said: “This year we’ve opened dedicated Careers+ offices in each Faculty and are now seeing a rise in student numbers for both micro and long placements. We’re also working intensively with unemployed and underemployed graduates to help them secure highly skilled employment. We’re thrilled to receive this recognition for the team’s commitment and look forward to building strong relationships with new and existing employers to create more opportunities for our students. The University is nominated alongside Bath Spa University and University of Liverpool in the ‘Most Improved Commitment to Employability’ category. The awards ceremony takes place in London on Friday 1 March 2019.